"Despite the fact that we have seen strong economic growth in the 2000s in Alberta in particular, as well as Saskatchewan and Manitoba, we are just not seeing that filter down to the on-reserve level." 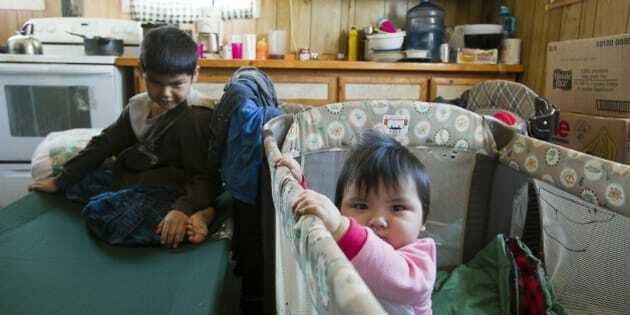 OTTAWA -- Indigenous children in Canada are more than twice as likely to live in poverty than non-aboriginal kids, according to new findings released Tuesday by the Canadian Centre for Policy Alternatives. "We are to some degree seeing it trickle down to the off-reserve population... but we are just not seeing the benefits on reserve."